Lau Construction LLC is based in Lansing Michigan. We specialize in residential renovations and remodeling with an emphasis on quality workmanship. 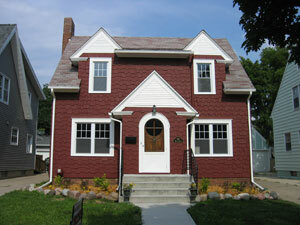 Working on existing homes challenges us to retain the character in older homes and accommodate the way we live today. We can do everything from a complete renovation to small jobs. Please click here to e-mail Lau Construction or phone us at 517-881-4022. Visit our Project Gallery for before and after photos from past projects.